Most businesses assign huge value to their brand. Brand often delivers as much value to a business as products, employees and customers. However, in the past 5 years, brand has been the pillar that hasn’t been platformed. That's where Brandfolder comes in. Brandfolder enables the right individuals to access the right resources at the right time. It provides a seamless and secure way for your organization to manage your digital assets. Customize your brand management platform to look like your brand. 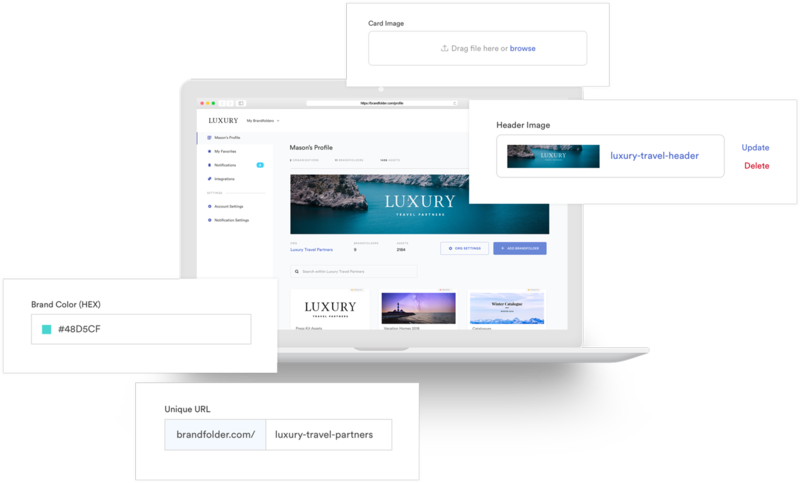 Vanity URLs allow you to control the branded experience of your Brandfolders and Collections further by customizing the URL where they are accessed. Inspire usage, enable speedy discovery and streamline workflows across teams with intuitive organization and curation. Stop wasting valuable time searching for assets and let Brandfolder provide a seamless experience to your workflow. AI-powered Auto-Tagging automatically adds logical tags to your assets upon import for intuitive discovery when searching. 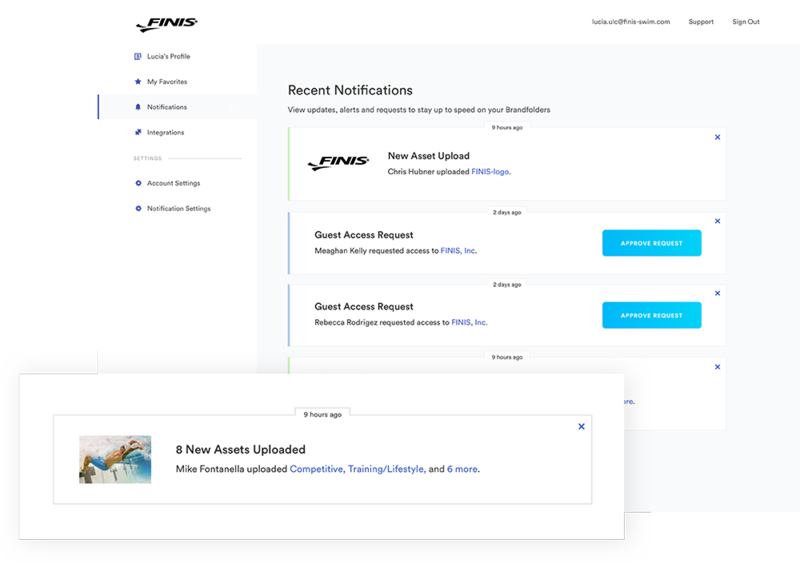 Give your network the ability to customize assets while retaining creative control and keep your assets on-brand. Scale your brand by integrating Brandfolder into your current workflow to keep assets consistent and accessible. Embed assets in Photoshop, Illustrator and InDesign with drag and drop. Transcode, watermark and clip videos with the Advanced Video Editor. 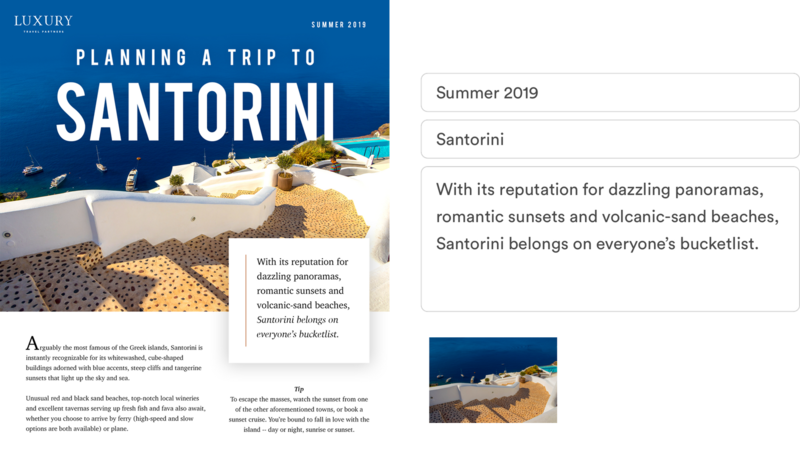 Upload creative designs with editable text fields and images to enable sales teams with collateral. Ensure secure authentication and simplify login with SAML & SSO. Protect and backup your files with Brandfolder. Manage digital rights across all channels. Brandfolder allows proactive, and now reactive, digital rights management. Organize, distribute and manage your asset rights in Brandfolder. Then we’ll crawl the web to find your outdated or expired assets in the wild. Leverage AI to automatically curate your DAM. AI is DAM’s best friend. Brandfolder applies machine learning and image recognition to automatically detect your related assets. Then it starts to build your organization structure with no manual interaction. Streamline asset labeling with data-driven suggestions. 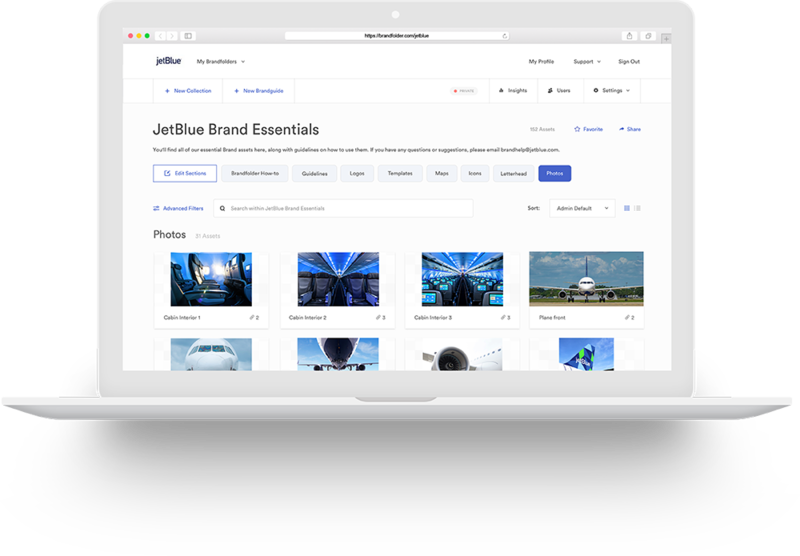 Brandfolder’s image recognition and machine learning engines automatically create clusters of related assets. These clusters’ taxonomy are consolidated, weighted and scored to generate taxonomy suggestions on similar assets and new asset uploads. Supplement Brandfolder event data with web analytics.Through a combination of its CDN and web scraper technology, Brandfolder tracks asset usage on the web. Web usage data is surfaced in our DAM providing source data for your distributed assets at a glance. Our DAM experts can help you find your perfect solution.